So, as the bad news splashes across the headlines and the denizens of Wall Street throw up their hands to ward off the falling sky (that they themselves created), the elderly here in the United States are facing some tough economic times of their own as we turn the corner to 2009. Reports now tell us that premiums for drug coverage under Medicare Part D will rise an average of 31% in the coming year. For some seniors, most of whom are on fixed incomes, a monthly increase of $50 to $100 could spell economic disaster, especially when one considers the simultaneous (and often astronomical) rise in the cost of food, gas, general healthcare costs, home heating, and other necessities. As I recently reported in an article on Nurse Linkup, Bloomberg, The Associated Press, medical websites, and other independent news outlets are all reporting the inevitability of these increases, the writing already being on the proverbial wall. To add insult to injury, changing Medicare rules may make some seniors' lives a living hell as they attempt to navigate the shifting sands of Medicare Part D.
And just as the economic climate intensifies with bad news and dire forecasts, American seniors also face the daunting task of negotiating the spending caps created under the Medicare Part D regulations. These rules limit annual reimbursements for medications to $2,510. When this magic number is reached, Medicare recipients must then be on their own purchasing medications until they have spent a total of $5,726, whereby Medicare will begin paying for medications once again. Confused? You should be. If some fortunate seniors are able to purchase expensive "gap coverage" for this period of time, they may break even or come out slightly ahead. For those unable (or too confused or intimidated) to do so, their economic peril may await. So, what does this say about our country? Who are we? What are we doing to our seniors and disabled citizens? When pharmaceutical lobbyists have more influence than seniors (and their advocates) in the writing of the Medicare Part D regulations, we all know who loses. Senior citizens are vulnerable members of our society, many of whom have worked all their lives, diligently paid their taxes, and now must struggle to make ends meet in the Autumn and Winter of their lives. Sure, the global economic crisis has indeed cast its pall on almost everyone, but even as the U.S. Congress holds midnight meetings to rescue Wall Street from its excesses and errant ways, no one is talking about how to rescue vulnerable and sick seniors as they fall down their own financial rabbit hole. No doubt, even as the "rescue" ensues, some CEOs and others in power will somehow come out ahead, making off with money that is not rightfully theirs at a time when that money should be trickling down rather than up. When I think of the cold months of winter ahead, I think of middle class and working class senior citizens who honestly don't know how they'll make ends meet. Meanwhile, in the halls of Power, there's money to be traded----and made. 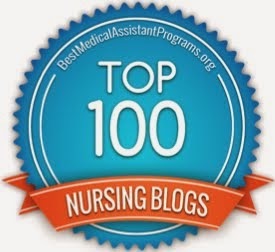 Please click here to read my recent article (published on Nurse LinkUp) regarding the history of Associate Degree nursing programs, an affordable educational trend which diversified the field of nursing and afforded many people like myself a convenient and fulfilling educational experience. Today I accepted a temporary position as the Interim Public Health Nurse for my town of residence, ten hours per week! The nurse who has been in the position is leaving after thirteen years (to become a school nurse, of all things). I am stepping in for at least three months and will be responsible for disease surveillance, Tuberculosis Case Management, immunization tracking and clinics, and other public health issues. I am excited and nervous, and could be in the running for the full 26-hour position at the beginning of 2009. In late 2007, I was contacted by a research group at The University of Rijeka School of Medicine in Croatia. This group was conducting a study of medical bloggers, their blogging habits, and their motivations for blogging. The study, entitled Examining the Medical Blogosphere: An Online Survey of Medical Bloggers, has been published in the Journal of Medical Internet Research (JIMR), the "leading peer-reviewed transdisciplinary journal on health and healthcare in the Internet age". To read this very interesting paper, please click here, and a slide show of the findings can be found posted on the blog of one of the article's lead authors. I was honored to be involved as a anonymous subject of the survey, and feel that increased attention to the importance of blogging on the fields of medicine, nursing and healthcare is crucial at this time in history. Blogging has indeed revolutionized journalism. 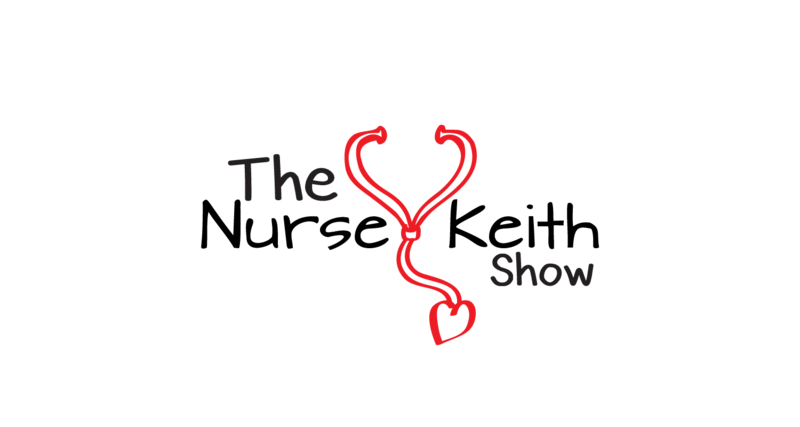 It has also created a uniquely twenty-first century portal for the dissemination of information vis-a-vis the world of medicine from a variety of sources, filtered through the personal experiences of individuals within the healthcare field. Nursing is of particular interest to me, of course, and I can see that blogging has become a tool of empowerment for many nurses, allowing the profession yet another "voice of agency", to paraphrase Bernice Buresh and Suzanne Gordon, the brilliant authors of From Silence to Voice. It is my hope that this survey and article by the team from The University of Rijeka will serve as an impetus for further study of the phenomenon of medical and healthcare blogging. I would also encourage researchers to more closely examine the more narrowly defined field of nurse bloggers, who have truly begun to find their collective voice over the last few years. My thanks to the University of Rijeka team, and additional thanks to the Journal of Medical Internet Research for their recognition of the importance of blogging and its intersection with nursing, medicine, and healthcare. Nurse LinkUp to Host Change of Shift! Hear ye! Hear ye! Nurse LinkUp will be the host of the next edition of Change of Shift, (the premier blog carnival for nurse bloggers) which will be posted in its glorious entirety on October 2nd, 2008. Deadline for submissions is high noon on Tuesday, 9/30/08. Please email all entries to nursekeith@gmail.com. 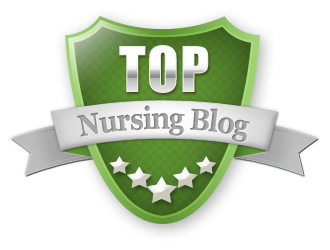 Remember--you don't have to be a nurse blogger to submit, but the post should be related to medicine, nursing, health, healthcare, etc. Unbeknownst to many Americans, a grassroots campaign to create an Office of the National Nurse has been underway for several years. While many in the nursing community recognize that the Surgeon General plays an important role in managing and overseeing the health and health education of the nation, it is also recognized that nurses are woefully underrepresented when it comes to our national priorities vis-a-vis healthcare and prevention. With a global nursing shortage in full swing at this pivotal historical time, we still see that neither presidential candidate in the current race fully acknowledges (or plans to adequately address) the shortage and its potentially devastating effects on the health and healthcare of the country. Many involved in the campaign to create an Office of the National Nurse feel that the office "would strengthen efforts by nurses in every community to assist in initiating a nationwide shift to prevention to yield improved health outcomes" nationwide. Fulfill statutory and customary departmental representational functions on a wide variety of federal boards and governing bodies of non-Federal health organizations, including the Board of Regents of the Uniformed Services University of the Health Sciences, the National Library of Medicine, the Armed Forces Institute of Pathology, the Association of Military Surgeons of the United States, and the American Medical Association. From a nurse's perspective, what is missing from the Surgeon General's overall equation is the more robust input of a nurse who would serve more as an equal to the Surgeon General in terms of his or her ability to effect and implement healthcare policy in the interest of the American people. At this time, the U.S. Public Health Chief Nurse Officer (CNO) serves as Assistant Surgeon General, representing the Surgeon General's interests and opinions, and otherwise working in a subjugated role that the medical community might deem fit for a nurse. The goal of the organizations and individuals behind the drive for an Office of the National Nurse is "to elevate and enhance the Office of the PHS Chief Nurse to bring more visibility to the critical role nursing occupies in promoting, protecting, and advancing the nation's health." Assist in the initiation of a nationwide cultural shift to prevention. Intensify roles for nurses, including students and retirees, in community health promotion. Provide greater support to the Surgeon General in calling for improvements in health literacy and reduction in health disparities. Encourage all nurses to spread prevention messages in their communities. Encourage participation of nurses in Medical Reserve Corps (MRC) units. Provide leadership to network with existing volunteer health promotion efforts. Strengthen linkages with providers, nursing programs, and public health leadership. Serve as a visible national spokesperson for professional nursing. Increase public awareness of nursing roles and contributions. Enhance nursing recruitment and education throughout all communities. Support and justify additional funding for nursing education, research and service. The National Nurse would work to slow the growth of preventable diseases; promote health awareness, increase health literacy, and reduce health disparities; promote health careers and increased resources; enhance visibility and public recognition of nursing. It is the opinion of many involved in the call for the establishment of the Office of the National Nurse that it is time for nursing to have a seat at the nation's healthcare table. While some might argue that the aforementioned Chief Nurse Officer of the U.S. Department of Public Health already adequately fulfills that role, most still see that role as one of subservience to the Surgeon General rather than one of professional equality. Just as nurses are rarely consulted by the media for their expert opinions vis-a-vis the various challenges faced by the nation and its beleaguered healthcare system, the government also fails to fully utilize nursing's unique and crucial input to the fullest extent possible, in the interest of the health and well-being of the American people. The establishment of the Office of the National Nurse would set a new standard for a more accurate and realistic recognition of nursing's importance to health and healthcare in the United States. If the federal government enthusiastically and publicly embraced nursing, making its crucial contributions crystal clear, perhaps the public, the media and the private sector would all then have a greater understanding of, and appreciation for, the multitudinous ways in which nursing impacts the health of millions of Americans. Most importantly, however, the establishment of this office would certainly bring an important voice even more strongly to the ongoing conversation about health and health care in America. A National Nurse could, in effect, deliver a unified message of preventive health at a time when millions of Americans---including millions of children---live without health insurance or access to regular primary care. At a time of crisis and uncertainty vis-a-vis the health of the country, the Office of the National Nurse could very well be a welcome, stabilizing and empowering voice of reason and prevention. I fully support the drive to establish such an office, and hold out hope that a new administration will recognize nursing's contributions to the health of the nation, and give thoughtful consideration to an idea whose time has come. Sometimes things just happen. Yesterday I received an email from the person who serves as the Public Health Nurse for the little college town where I live (population: 20,000 residents + 25,000 students, more or less). She's stepping down from her post and the town is looking for an interim part-time nurse (10 hours per week +/-) to organize, plan, and implement the town's flu clinics for the season, as well as track the handful of TB cases and other reportable diseases in the area. Meanwhile, I await a call for an interview in the local inpatient psych unit. More meaningful and remunerative work may be just around the corner. 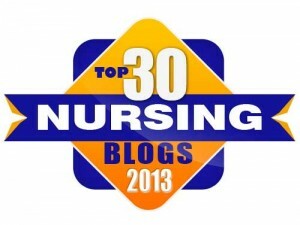 I am an occasional guest blogger on NurseConnect. Please click here to read my latest column which was submitted in response to a question regarding my choice of specialty: ambulatory care, home care, and hospice. Well, I did it. After twelve years of eschewing taking a job in a hospital, I have applied for a part-time position in a local inpatient psychiatric unit. Things have been very slow at all of my per diem jobs, and while I'm very hesitant at this juncture to commit to a solid position, finances are telling me that it may be time to at least have 16 or 20 hours of assured work each week. So, this 24-hour per week position consisting of two 12-hour shifts may fit the bill. Although I swore off the dreaded "two years of Medical-Surgical nursing after graduation" (something I was told at the time was professional suicide), I just recently decided to apply for this position as a stop-gap measure at a time when I am need of more regular work. Granted, I have been quite determined in my anti-hospital stance, but working in a psychiatric milieu is a far cry from the rigors of Med-Surg, and since I've done such a great deal of outpatient psychiatric nursing, perhaps it's high time I take a peek "on the inside". Anyway, I haven't even had a call back for an interview yet, so please stay tuned for the developments vis-a-vis this interesting turn of events. I have recently been re-reading From Silence to Voice: What Nurses Know and Must Communicate to the Public, by Bernice Buresh and Suzanne Gordon. What I am most struck by is that nurses still have not necessarily found their collective voice, and despite the media attention given to the global nursing shortage, I still believe that Buresh and Gordon's thesis still holds true: the public still does not fully understand what nurses do, and until that day comes, nurses' real value as clinicians will not be common knowledge. Buresh and Gordon touch on many themes and areas of interest vis-a-vis nurses and their relation to the public, to doctors, and to one another. While I will not provide a review of the book---nor a comprehensive enumerating of its content---there are certain area which pique my interest, and I encourage curious readers to order a copy of the book and explore some of these issues for themselves. When I first heard this phrase, I was moderately disturbed by it for several reasons. Doctors, by and large, receive the lion's share of praise and gratitude when a sick patient is cured of an illness. Granted, doctors undergo a great deal of training and education in order to offer curative treatments for a variety of diseases, yet all too often, the work of nurses is grossly overlooked when it comes to successful treatment. While nurses do indeed carry out many orders originated from doctors, nurses use their own brand of critical thinking and autonomous action in order to perform specialized patient care. The public may not be aware of this fact, but many actions taken by nurses are initiated by nurses themselves, and the professional clinical assessments performed by nurses will often lead to changes in treatment and greater overall success. Sure, nurses care, and nursing is seen by the public as a "caring" profession. However, nurses utilize scientific methods, skilled observation, and keen assessment skills to monitor patients' progress. Nurses are not just "the caring eyes and ears of doctors"---nurses are skilled professionals fully involved in patient care---and patient cures. In their book, Buresh and Gordon make one thing clear: nurses' self-presentation says a great deal to the public, and images of nurses that instill themselves in the societal zeitgeist are difficult to dispel. Somewhere along the line, the "angels of mercy" moniker became attached to nurses as a group. Granted, in the early days of nursing, nurses' ability to act autonomously was extremely limited, and we were, by and large, the handmaidens of deified doctors. However, as much as that regrettable history has largely changed, the image of the nurse as angel unfortunately persists quite widely in our culture and websites galore promote gifts and baubles that continue to diminish nurses' professionalism. Images such as this one drive home the point: nurses are childlike individuals with starched white hats who love teddy-bears. 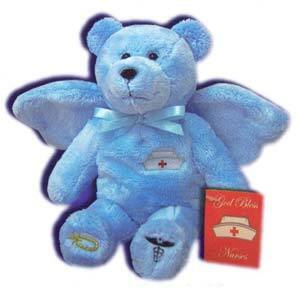 Adding insult to injury, nurses can actually be depicted as winged angel/teddy-bears, further enforcing the infantilization (and deprofessionalization) of our profession. Would doctors allow themselves to be thus represented to the public? Rather than being perceived as cherubic angels and childlike creatures, this writer feels that being perceived as the valuable and skilled professionals who we truly are would allow the public to have a much more accurate perception of what we do, and our importance to the care of millions. The Clothes on Our BackNurses' uniforms have certainly changed over the years, and as scrubs have become the norm for nurses in most clinical settings, many companies have capitalized on the popularity of such utilitarian clothing. Now, designer scrubs covered with angels, teddy-bears (there they are again! ), and any number of cartoon-like images adorn the hard-working bodies of nurses around the world. If nurses want to be taken seriously by the public---and by doctors and other professionals---how does the wearing of such (in my opinion) unprofessional clothing help our cause? Picture this: a team meeting occurs midday to discuss a patient on the adult oncology floor. Present at the meeting: a medical resident, a medical student, the attending doctor, the oncologist, two unit nurses, a social worker and a respiratory therapist. Of all of the professionals in the room, who would possibly be wearing pink scrubs covered with teddy-bears and hearts, and a pin on her chest saying "Doctors Cure, Nurses Care"? And what message does this convey about the nurse's self-image and how the other professionals present in the meeting should perceive him or her? In From Silence to Voice, Buresh and Gordon make their case that nurses being addressed by first name only is also a major image problem when it comes to the public's perception of us a collective whole. When doctors introduce themselves to patients or other professionals, they always do so by using the title "Doctor" before their name. This practice immediately creates an impression that the doctor is a professional, that he or she has a name that should be remembered, and a hierarchy of power and authority is clearly established from the start. Conversely, we nurses almost ubiquitously introduce ourselves by first name only, ostensibly to break down the barriers between patients and nurses, assisting the patient in overcoming fears and anxieties related to their treatment. While this tactic may have some limited benefit, Buresh and Gordon argue that "if nurses introduce themselves by their first names only, they are asking to be regarded as nonprofessionals because that is the conventional way that nonprofessionals present themselves." The "first-name only convention", as the authors have named it, makes it significantly more difficult for individual nurses to receive recognition for their work when only their first names are known. It also creates a hierarchical structure in which the doctor stands alone as a figure of authority, towering above the patient and nurse with (patriarchal or matriarchal) power and authority. Interestingly, many nurses will argue that introducing ourselves as "Nurse Smith" or "Nurse Cadmus" is awkward at best, but also brings to mind the infamous "Nurse Ratched" from "One Flew Over the Cuckoo's Nest". Granted, Nurse Ratched is a mythic and hated figure in the pantheon of film and modern literature, yet do we see doctors eschewing their well-earned title due to historical figures such as Dr. Kevorkian or Dr. Mengele (of Auschwitz fame)? Absolutely not. Doctors use their title so commonly and so frequently that the word "doctor" simply holds too much cultural power to be diminished by one literary (or real-life) character who used that title for ill.
As for "naming practices" between doctors and nurses themselves, further examples of an unequal playing field emerge, with nurses almost continually subjugated to a diminished status by always being addressed by first name by both patients and doctors, whereas doctors maintain their professionalism and authority through the use of their title and last name. All too often, the work of nurses is diminished by nurses themselves. When thanked for their work, nurses will frequently say, "Oh, I didn't do much. The doctors really did the hard part." Or when a nurse is asked what he or she does, the answer will often be, "I'm just a nurse." This diminution of nurses' worth does little to cement in the public's collective mind the utter importance---the crucial presence---of nurses in the healthcare system. The "just a nurse" phrase---used all too painfully often---hurts nurses' cultural standing and diminishes the profession in the public's eye. Nurses need to stand up and take credit for the work that they do. Buresh and Gordon urge nurses to say "You're welcome" when they are thanked. "I am so glad that I could assist you in learning so much about your diabetes, Mr. Smith" or "It was my pleasure to provide your post-operative nursing care, Mrs. Jones"---these are statements that take credit for nurses' actions, acknowledge patients' gratitude, and accept responsibility for providing crucial nursing care that directly impacts patients' recovery and health. Buresh and Gordon recommend that nurses discover their "voice of agency". According the authors, "the voice of agency is the voice that says: 'I helped the patient to walk after surgery so that she wouldn't get blood clots in her legs' or 'I taught the patient how to take his medications so that they would be effective and produce fewer side effects.' The authors further illustrate their point by reminding us that "the voice of agency is the voice that conveys the message, 'I'm here. I am doing something important.' "
For nurses to develop their own agency---their own power---nurses must first claim and recognize the importance of what they do. As Buresh and Gordon elucidate so clearly in their book, patients do not learn self-care skills in a vacuum. Someone must teach them those skills, and it is nurses who bring their knowledge and education directly to patient care. When recovering from surgery, it isn't doctors who monitor patients every fifteen minutes, using a lifetime's worth of learning to perform important expert assessments. Nurses use a wide variety of skills---often on an autonomous basis---to provide patients with the care and attention they need for optimal health. While nurses are indeed held in very high esteem by the general public in surveys and polls, most members of that adoring public would be hard pressed to actually describe what it is that nurses do. As Bernice Buresh and Suzanne Gordon make so abundantly clear, it is up to nurses to claim their rightful place of importance in the care provided to patients in a variety of settings. Nurses need to proudly speak of their work with a voice of agency and power, and communicate clearly---to the public, the media, their families, their friends, and their colleagues---that nursing is important, that it is meaningful, and that what nurses do contributes to successful patient care and positive outcomes. We must forgo the teddy-bears, the hearts, the flowers, the useless diminutive statements and self-deprecation, and claim our professionalism for our own. Nursing's voice must be heard, and Buresh and Gordon feel that the time for that voice to be clearly heard is now. I am an occasional guest blogger on NurseConnect, and I invite you to read my latest post, Creative Responses to the Nursing Shortage, posted on NurseConnect today. I think the post offers an interesting perspective, detailing ways that individuals, educational institutions, and healthcare facilities are responding to the crisis at hand. It is now nine months since I eschewed full-time work (after twelve years of having my nose on the nursing grindstone), and I am examining both where I was and where I am now. Questions abound, but answers seem resolutely elusive. There is something to say for the regularity of a full-time job. A steady pay-check is a type of financial stability that most people see as a gateway to economic ease (or at least some semblance of economic ease if the pay is moderately good). That reliable deposit into the checking account is a means to an end, allowing one the ability to put food on the table and gas in the ever-hungry tank. That said, when one decides to piece together a livelihood, there is certainly room for shakier ground and relative uncertainty. Whether working per diem, full-time, or part-time as a nurse, one always has the feeling that one's skills are in demand. Still, finding work of interest, coordinating multiple scheduling needs of various employers, and allowing some open time for that unexpected call----it is all a juggling act extraordinaire. After nine months of putting together a per diem lifestyle, I am entering the Autumn feeling somewhat tired from the uncertainty but simultaneously hesitant to make any solid commitment on a weekly basis to any one employer. Sure, some steadier income would be nice, but the flexibility that my new work- and lifestyle have bestowed upon me is truly difficult to consider giving up. Beyond being a juggling act, it is a conundrum, a paradox, a riddle for the earnest nurse to solve. When visiting my former workplace as a per diem consultant, I see how my former colleagues are still slogging away in the trenches of front-line urban healthcare. As attractive as that mission is (both personally and politically), serving the poor, disenfranchised and chronically ill is no picnic, and I left that world nine months ago for a very good reason: stress was causing me to become ill, and that constellation of illness was thoroughly depleting my life force and joi de vivre. Now, working from home part time and piecing together a different sort of work life, I wonder how long I will carry on doing what I'm doing. Nursing always allows one great breadth of choice in terms of what one does at work, and I have even had thoughts that there may be---one day---a time when "Nurse" is no longer part of my identity. Still, for now, nursing is part and parcel of my being and identity, and I continue to put together a personal life that makes sense and brings at least some money to the table. After all, when it comes to work and stress, if I compromise my health in the interest of work, there will be nothing of me left to enjoy the fruits of my labor. So instead of working more in order to have more, the key is most likely in wanting less, consuming less, and thus working only enough to meet my modified needs. But then again, that is so fundamentally un-American. 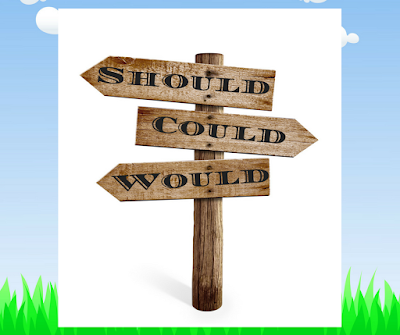 What is the earnestly thoughtful nurse to do? Nine months' gestation finds me in a thoughtful place. What will another nine months bring? I am as curious as you, dear Reader, and I only hope that any further vocational labor pains are gentle as I ride the waves of this ongoing challenge. The newest edition of Change of Shift, everyone's favorite nurse blog carnival, is now up and at 'em at Nurse Ratched's Place. (Even yours truly got in on the action this time.) Enjoy! I am simply thinking today of the many citizens of the American Gulf Coast who are living as evacuees, wondering when they can once again go home, and when life can once again resume some semblance of normalcy. My thoughts also stray to the vulnerable patients evacuated to safer ground, the healthcare personnel who have risked their own safety to remain with those too frail to travel, and the families of those few patients who died during evacuation. The experience of repeated trauma and stress can certainly take it toll, and my heart goes out to those once again living on the edge.